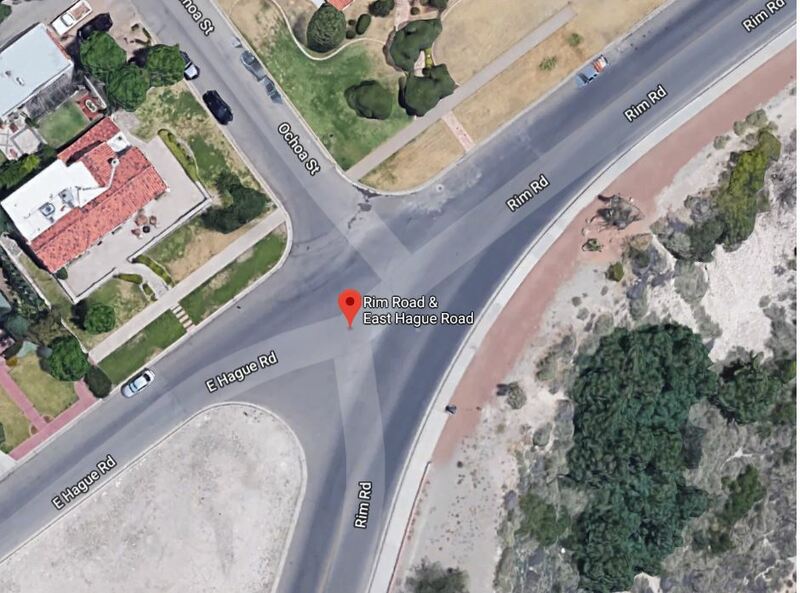 The City of El Paso, Texas recently set out to tackle a challenging intersection at Hague Road, Rim Road and Ochoa Street to increase safety. 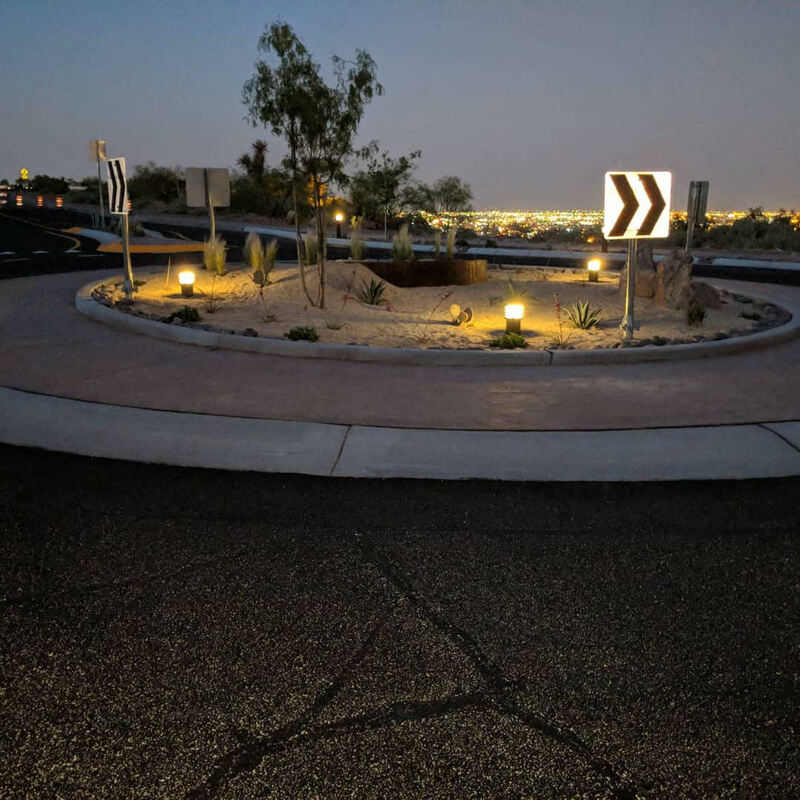 Spearheaded by the city’s Capital Improvement Department, a plan was put forward that recommended the installation of a traffic circle. The goals were to create a safer and more functional intersection, promote investment and a sense of place while also calming traffic through the residential neighbourhood. 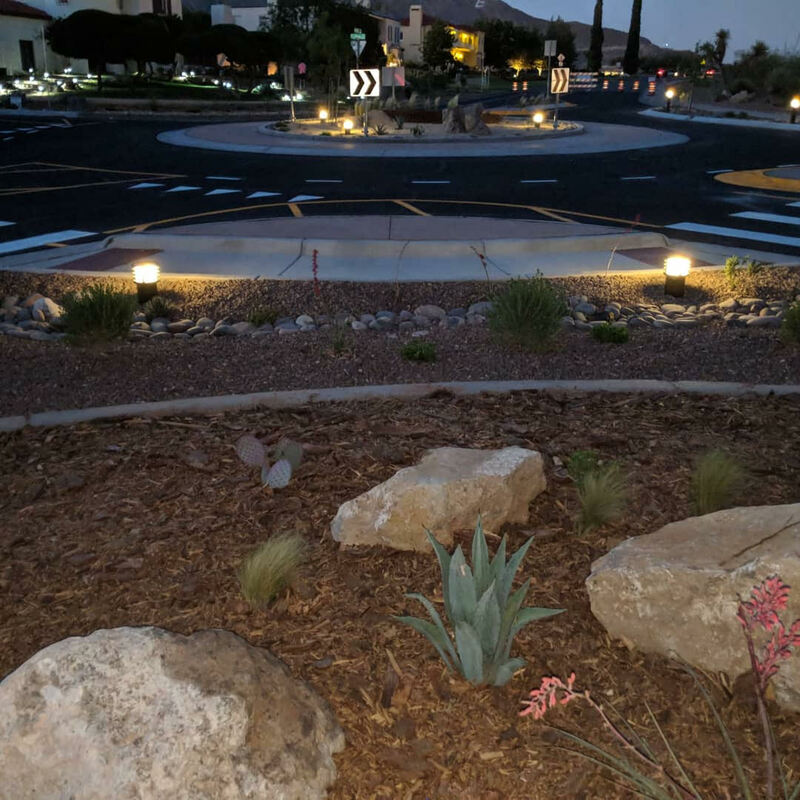 With a budget of $207,000, the plan included specifications for signage, sidewalks with ADA compliant ramps, landscaping in the roundabout with irrigation and electrical preparation for future lighting. While the budget did include funds for electrical lighting, the timeline for completing the project was extremely tight. With only weeks until the project needed to be completed, laying wires for electrical lighting and connecting to the grid would have taken too long. 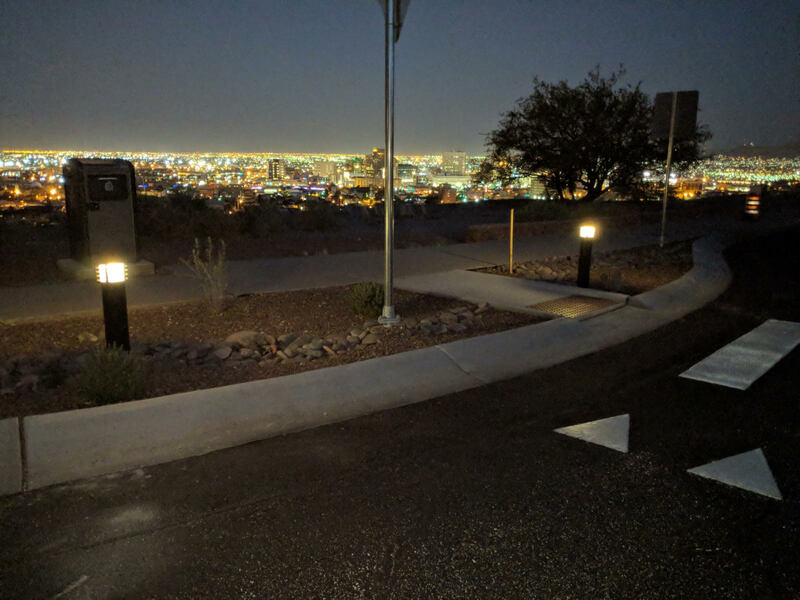 As a stopgap, solar lights to illuminate the traffic circle on a temporary basis were explored with the expectation that electrical lights would be installed later. That’s when First Light’s solar bollards were considered for the project. 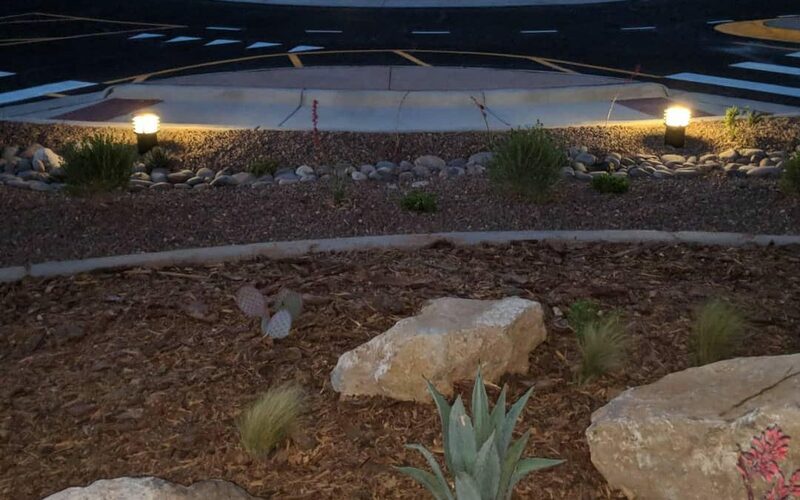 Bollards are great for providing light for wayfinding, delineating spaces and landscaping projects. First Light’s WLB series was chosen as the most appropriate for this particular project as they provide more visibility from a distance. Another deciding factor was the ability to deliver within the tight timeline. 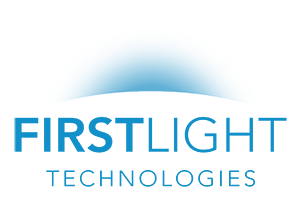 First Light worked with the contractor to accelerate the order and was able to manufacture and deliver the bollards 8 business days after the order was finalized. However, it quickly became clear that the WLB would not be temporary solution. The robust design and high light output meant that it could be the permanent solution for the traffic circle. Opting for solar would also eliminate the need for future construction to trench for electrical wires and provision a connection to the existing grid. It also means there will be no ongoing electrical costs and the lights will be on regardless of power outages. Feedback from the neighborhood has been positive with the solar lights providing more light than many of the electrical grid lights nearby. The WLB series has a familiar louvered design that is ideal for wayfinding and delineation applications. Made from marine grade aluminum, the WLB has a typical light output between 80 and 120 lumens. For more information on this bollard, download the full spec sheet.